If you have yet to jump into the world of smart lights, I certainly can understand. After all, these things (Philips products in particular) are pretty damn expensive. But what if IKEA offered up a solution that wasn’t cheap, but also wasn’t ridiculously expensive? Hopefully, that sounds appealing, because their new TRÅDFRI smart lighting system is on the way! The TRÅDFRI line will be available outside of the US in select countries on March 31, from what we can tell, but the US stores are gearing up for release too it seems. If you hit up that link below, you’ll find all of the TRÅDFRI products already listed on the US IKEA site, with pricing, descriptions, manuals, etc. You can’t buy them just yet, but I doubt the launch is far off. So far, TRÅDFRI products include a gateway kit for $79.99 that includes two smart lights, a dimmer switch, and the hub that all of your lights attach to. Single lights (E26) cost just $11.99, plus there are additional light options, remote control switches, motion sensor kits, etc. on the way. 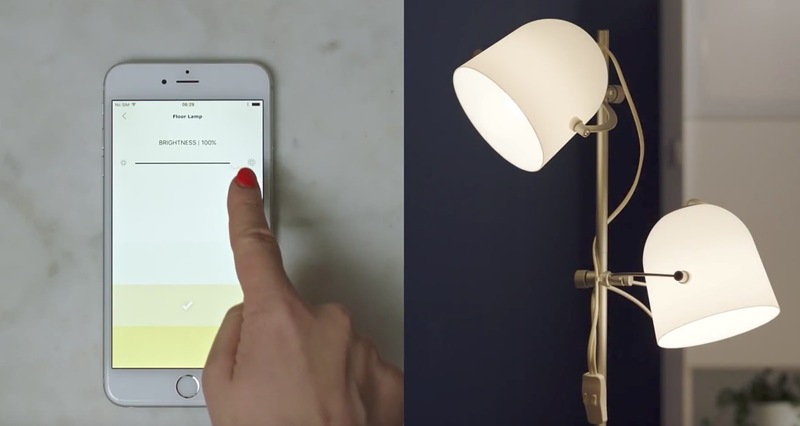 This new line works with ZigBee Light Link (ZLL), which is the same technology behind Philips Hue. Android and iOS apps will allow you to control the system.